People with hair, don't think about what it is like for those without. We run around flaunting the fact that we have hair and they don't. Not on purpose, but we still are. My husband has a hair loss problem, and one of my best and oldest friends has a hair loss problem. She has tried for years to regrow her hair to no avail. I have heard about "hair in a can" for many years. 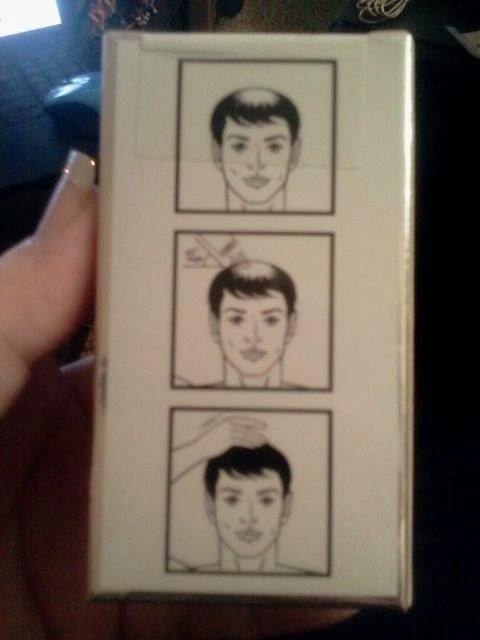 I wasn't real sure how they could help a balding person. Every time you turn on the television, you can't help but see commercials for Bosley and Rogaine. Both of which, you have to keep doing, to keep whatever hair you grow back. But what if you could just have hair whenever you want? Maybe you are going to a special event or party and you want to look your best. If it was as simple as shaking hair on to your head would you do it? I haven't been able to get my husband to take any pills to help with growing his hair back. He is so self conscious about it, but he won't do anything for it. 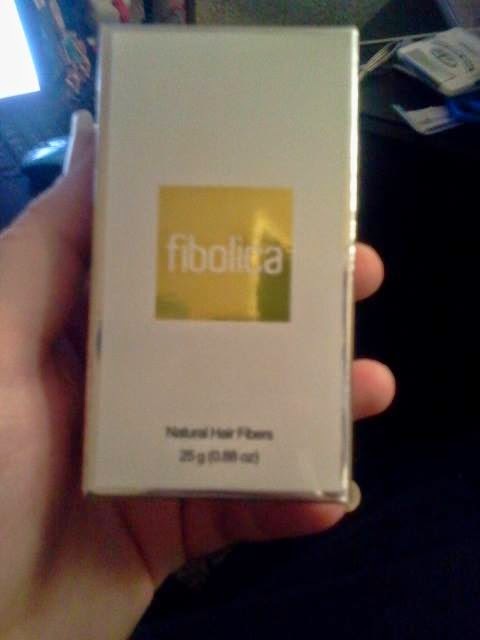 That was until I got Fibolica Hair Thickening Fibers to review.He knew he couldn't get out of it, and he was interested to see how it would work all at the same time. When the day finally came to try it out, he was scared and excited. 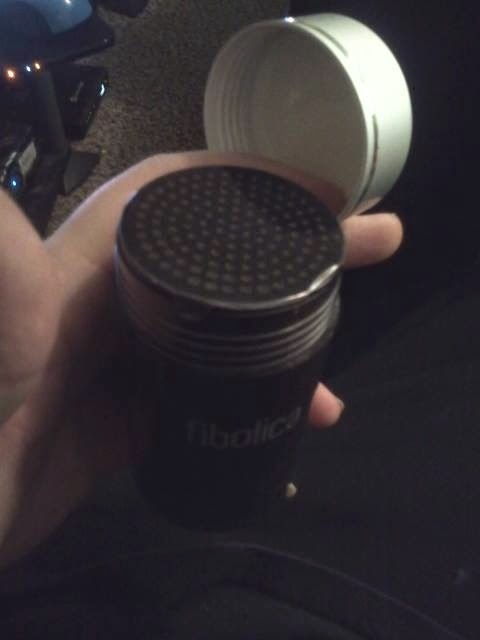 To use Fibolica, open the top and take off the sticker covering the holes. Then you start at wherever the hair loss starts. 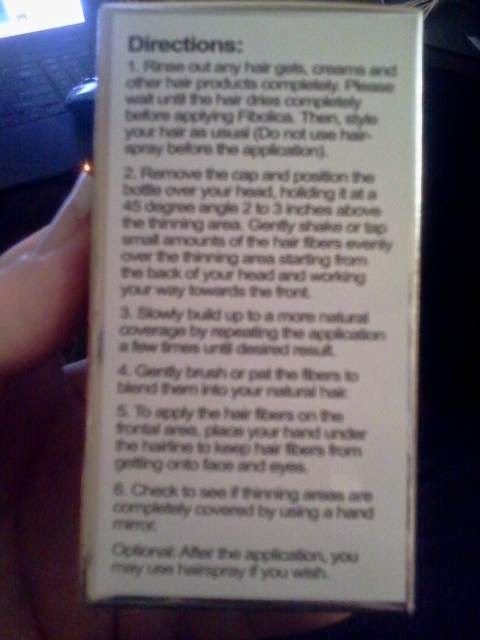 Going back to front, shake the bottle 2 inches over the scalp at a 45 degree angle. 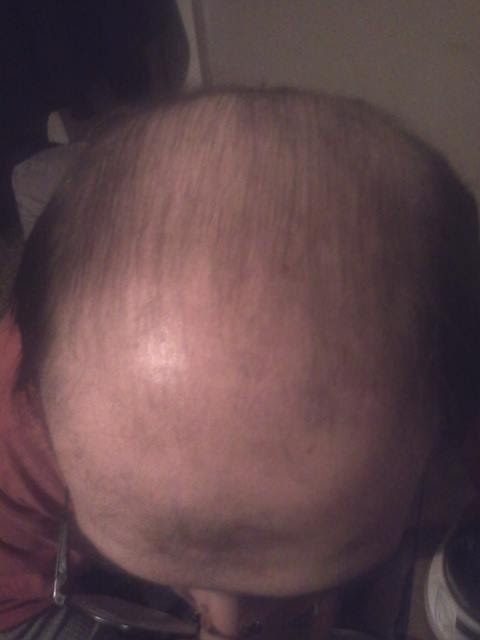 You will start to see the balding areas filling up with hair fibers. When you get the bald spot/area filled all the way in, lightly pat your head. 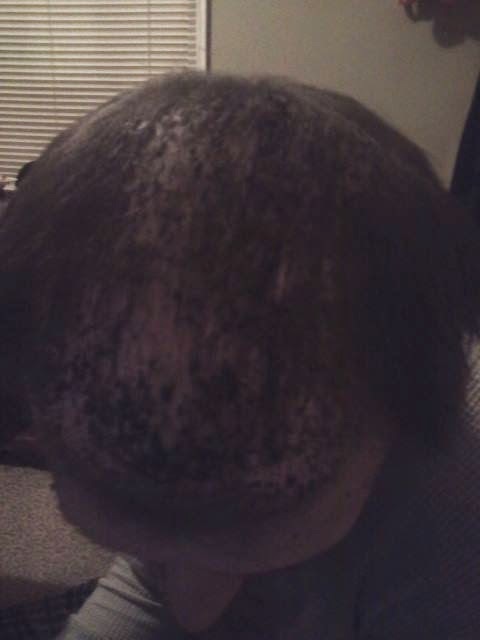 You may have to do more then one application to completely cover your scalp. (If you pat/press too hard, patches of the hair fibers might come off your scalp. After you have it the way you want it, you can then use whatever hair products you normally use. The first time I applied this to my husbands scalp, I was having trouble keeping the container at the right angle. Which, made it almost impossible to get out. I accidentally hit him in the head with the shaker a few times because of this. I tell him to pat it while I wash my hands in the bathroom. By the time I came back out, he had patches on his head where he patted too much/too hard. I then applied another application, and tried to keep his hands off of his head. He somehow managed to get his hands up there again, so I did a final application and finally I kept his hands off it for awhile. Of course later when he messed with it, he made several bald spots. But for a good half an hour, he had hair on his head again. I have to admit that it was weird seeing him with hair. 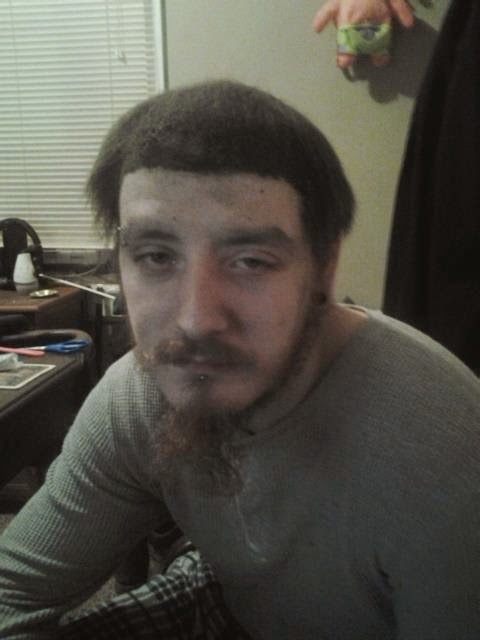 His real hair is in need of a cut, so it just didn't look right. We are planning on shaving it and then when it starts to grow back in, we are going to try this again. He kept looking in the mirror unsure of what to think. We needed something from the gas station, but he was afraid his hair would blow away, or come off in his hat. Just so everyone knows, this is basically hair for a day. Its not permanent in any way. It's just something you can sprinkle on whenever you want. My husband has basically no hair on the top of his head, so we had to use a lot of this product to get his covered up three times in a row. This product works for that much baldness, but I think that it would be best suited for someone who has a smaller bald spot. I feel it would appear so much more real that way. 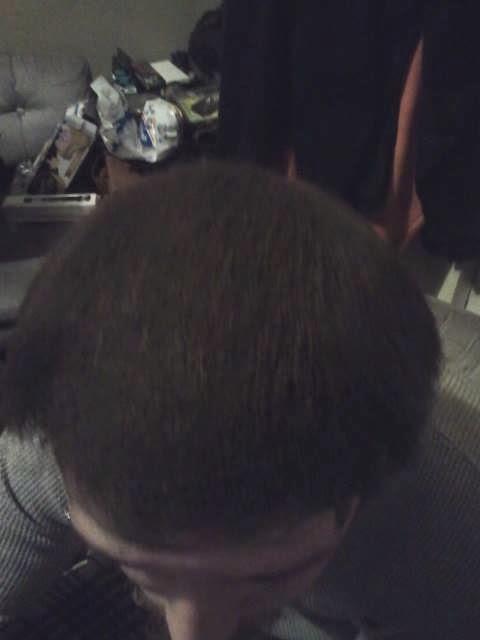 It does look like real hair, but as I stated, it would look even better on someone with a smaller bald spot. Now when I see products and they show people that are balding in one picture and an after picture of them when they use the product. I never believed that these things actually worked. But now I have seen that they do! The only faults are the fact that it just doesn't look real enough, it comes off way too easily, and it gets every where. My husband had it all over his forehead, hands, and shirt by the time I was done applying. Every time he sneezed or moved his head too fast, I could see the hair flying off of his head. When he was done with the blast from the past, he simply jumped in the shower. The hair washed right off his scalp, hands, and forehead. If I hadn't seen it for myself, I wouldn't have believed it. We both thought it was pretty awesome how quickly he can go from bald to having hair, then back to being bald. I had never seen him with hair before besides pictures, so it was new for me as well. I was sort of sad when he washed it out. 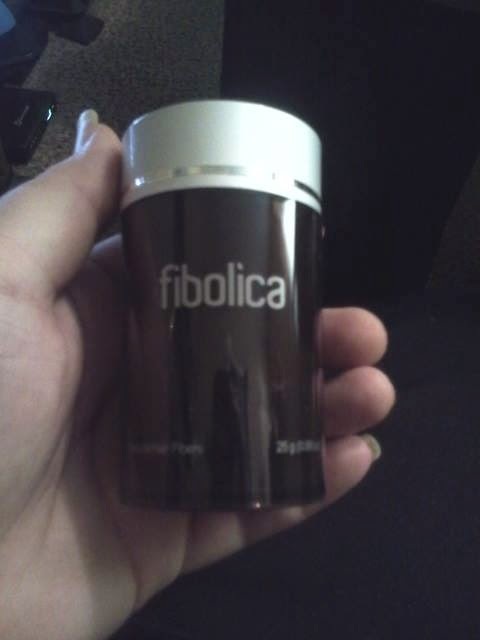 I am going to be having a giveaway for Fibolica. Keep your eyes open because it will be coming soon! I am going to try a new method this time and see how it works out. 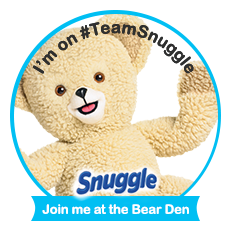 I am still getting the hang of giveaways so bear with me while I work out all the kinks. Good luck to everyone who enters! 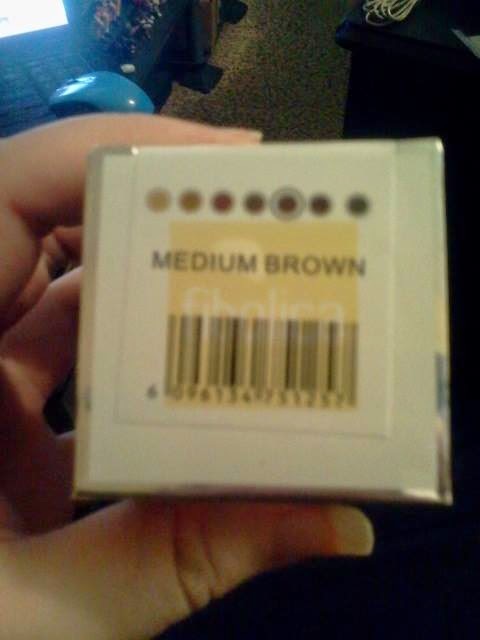 I received this product for free in exchange for my honest opinion/review. Regardless of price, all my opinions and views are truthful and my own.